With Yule and Christmas quickly approaching I've been busy working on new artwork for my Etsy shop. 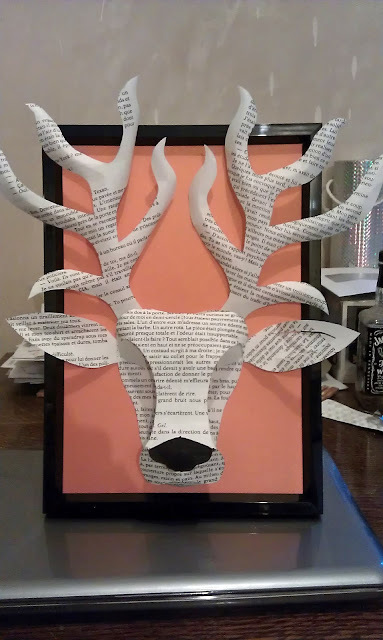 This prototype deer head needs a couple of small adjustments but I'm fairly pleased with it so far. Once I've made those final design tweaks, these will be up for sale in my shop and I'll be working on another animal design. The dragon competition was a success with just under 60 entries. The lucky winner was Sandra Geddes who has chosen a red background for her dragon. Congratulations Sandra! Your dragon will be in the post to you very soon. I really enjoyed running the competition and will definitely be doing some more in the future so watch this space! 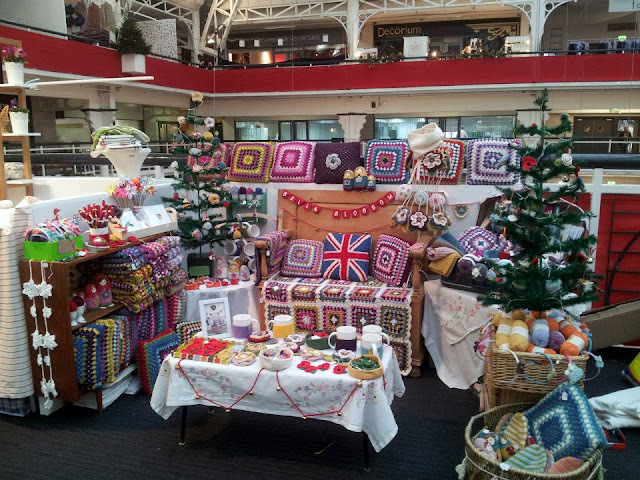 In other news, my sister-in-law Sam from Bella Blossom has a stand at the Country Living Christmas Fair in London this weekend, so if you're around, do call in and pay her stand a visit. 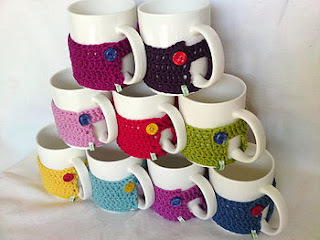 As you can see, she has loads of beautiful crocheted goodies goodies for sale. My personal favourite is the mug and cosy. I have a pink one and it's just the trick for keeping my coffee warm while I work. Please try to buy handmade items if you can. A handmade gift is far more personal than anything mass-produced and the small (usually tiny) businesses owned by crafters really do need your support.